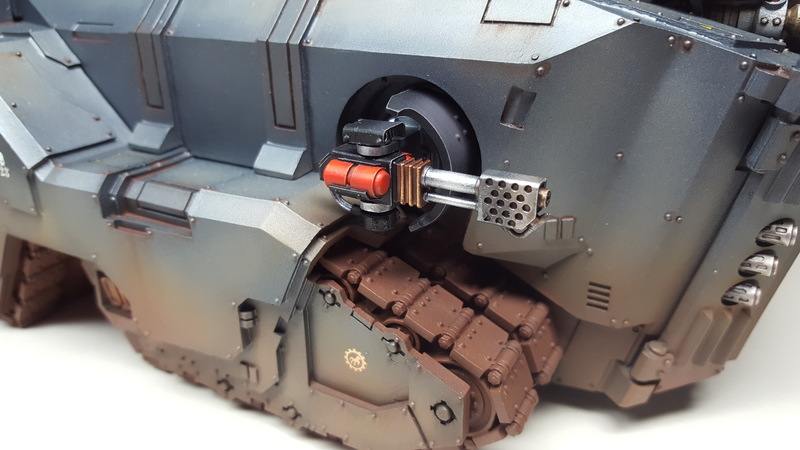 The Mastodon Heavy Assault Transport, part 3. All of the weapons were painted up in the same scheme, the sponsons arms being painted metallic, with black gun shields detailing. The fuel tanks for the front mounted heavy flamers and the shield for the roof mounted Skyreaper Battery were painted in a red accent colour which I’ve used throughout the army. Overall, I’m really pleased with the finished model. It’s suitably imposing, usually being destroyed every game, but it’s still enjoyable watching you opponents faces ad it rumbles towards their lines. 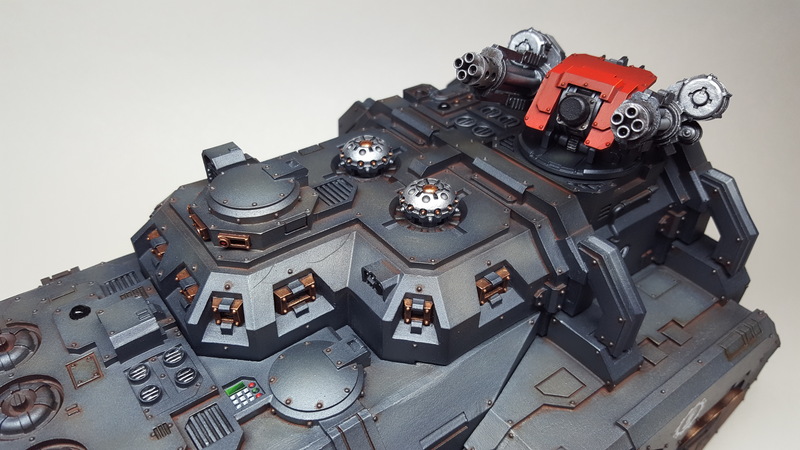 Previous Previous post: The Mastodon Heavy Assault Transport, part 2. Next Next post: Legion Medusa Artillery Squadron.